Today, the FDA announced it is requiring a class-wide change to drug labeling and patient information to address the serious risks associated with the combined use of certain opioid medications along with a class of central nervous system (CNS) depressant drugs called benzodiazepines, the agency said in a press release. The changes include the FDA’s strongest warning – the boxed warning – and renewed patient Medication Guides for the risks associated with using the following classes of medicines simultaneously: opioid analgesics, opioid-contained cough products and benzodiazepines. This warnings will highlight the risks of extreme sleepiness, respiratory depression, coma and death. The agency’s goal is to “reverse the prescription opioid abuse epidemic, while still providing patients in pain access to effective and appropriate pain management,” the release stated. Over 400 products in total will be affected. Given the importance of reaching health care professionals and the public with information about the risks of using these products together, today the FDA also issued a Drug Safety Communication. Through the Drug Safety Communication and by requiring patient Medication Guides, the agency also provides information for anyone who is taking, or who knows someone taking, either of these types of medications and encourages them to better understand the risks of taking them together; and, when it is medically necessary, for health care providers to be careful to prescribe them as directed, without increasing the dose or dosing frequency for either drug. Opioid analgesics are powerful pain-reducing medications that include prescription oxycodone, hydrocodone, and morphine, among other drugs, under both brand and generic names. Certain other opioid medications are also approved to treat cough. Opioid analgesic misuse and abuse have increased significantly in the United States over the past two decades, and represent major public health concerns due to the risk of coma and fatal respiratory depression associated with opioid analgesic overdose. 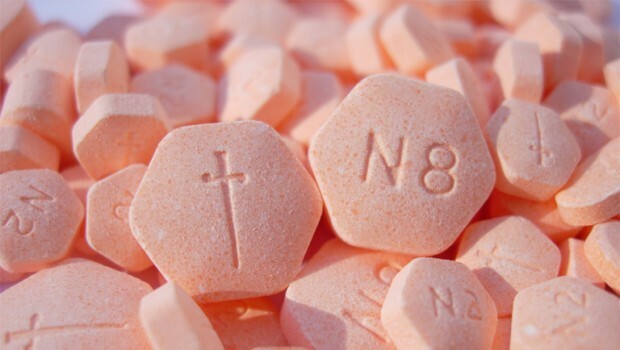 Benzodiazepines are drugs typically prescribed for the treatment of neurological and/or psychological conditions, including anxiety, insomnia and seizure disorders. Both classes of drugs depress the central nervous system (“CNS depressants”); however, each has unique pharmacology, safety risks, and labeling information related to its use. Therefore, the FDA is requiring opioid analgesics, prescription opioid cough products, and benzodiazepines to have slightly different labeling. Additionally, due to the unique medical needs and benefit/risk considerations for patients undergoing medication-assisted therapy treatment (MAT) to treat opioid addiction and dependence, the FDA is continuing to examine available evidence regarding the use of benzodiazepines and opioids used as part of MAT. The FDA’s data review showed that physicians have been increasingly prescribing them together, and this has been associated with adverse outcomes. Among the data reviewed by the FDA, the agency concluded that from 2004 to 2011, the rate of emergency department visits involving non-medical use of both drug classes increased significantly, with overdose deaths (from taking prescribed or greater than prescribed doses) involving both drug classes nearly tripling during that period. Additionally, the number of patients who were prescribed both an opioid analgesic and benzodiazepine increased by 41 percent between 2002 and 2014, which translates to an increase of more than 2.5 million opioid analgesic patients receiving benzodiazepines. Clinical guidelines from the U.S. Centers for Disease Control and Prevention (CDC) and existing labeling warnings regarding combined use caution prescribers about co-prescribing opioids and benzodiazepines to avoid potential serious health outcomes. The actions of the FDA today are consistent with the CDC. In February 2016, the FDA received a citizen petition from numerous local and state public health officials and other stakeholders asking the agency to make certain changes to the existing labeling for benzodiazepines and opioid analgesics. The FDA had already initiated a review of the scientific information on concomitant use of these two drug classes when the agency received the petition, and was encouraged that these public health officials shared the agency’s concerns. Today, the FDA also responded to the citizen petition. 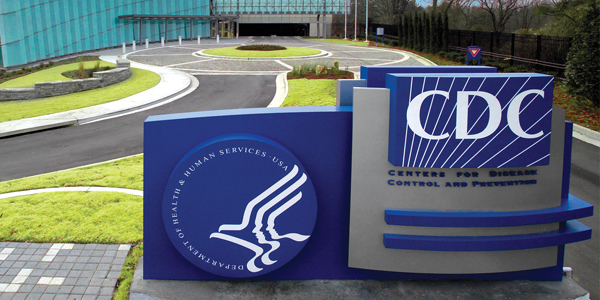 Working with the health care community and federal and state partners to help reduce opioid misuse and abuse and improve appropriate opioid prescribing, while ensuring that patients in pain continue to have appropriate access to opioid analgesics, is a top priority for the FDA and part of HHS’ targeted approach focused on prevention, treatment, and intervention. The agency is committed to continuing to monitor these products and take further actions as needed. 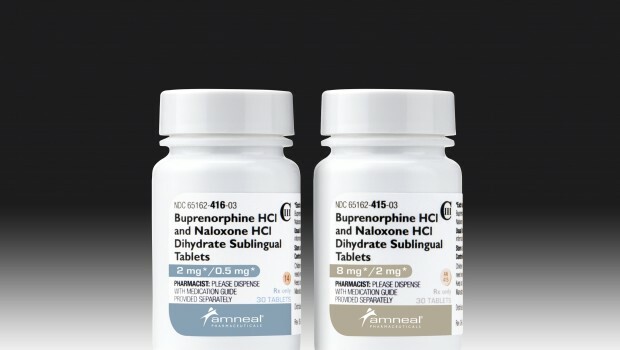 Suboxone: The New Drug Epidemic? I have been in pain for 12 years now with many diagnoses but the main ones are EDS and Dercums Disease. Both are very painful. I’m lucky enough to have the greatest Pain Dr. ever. As a disabled RN, he will discuss whatever research I have found for that monthly visit. @Marissa, I totally get where you are coming from in your comment. I am actually on both Baclofen and Neurontin. Both help with each of my issues. On top of that, I take Morphine. I never have any side effects, so I feel very lucky. It was I was taking Alieve. Then he said Naproxen (220) two tablets twice a day. My legs swelled up just above my ankles. My GP said you have edema. Must be a kidney problem. Then he looked over my current list of OTC medications. He was livid. He said never exceed the recommended dosage and this applies to OTC pain relievers as well. You are right. The New Surgeon General is one of “Doctors for Obama” used to be Doctors for America. My vision of a Surgeon General is a much older, experienced physician. He/she even more should have a working knowledge of painful illnesses. He/she should have credentials in pharmacology at the doctorate level. What we got is a token green card holder. You have described yourself as severely disabled. What is lacking is “empathy” from these Nuevo docs and PA’s. If you look at Wikipedia, history of diazepam you will find it a necessary drug. (I think I already posted this). They may try to give you Baclofen and tell you “It is just like Valium”. Say, Just give me the Valium then. You have obviously demonstrated your willingness and ability to abide by demonstrate that you are a responsible person, managing your medications with the greatest of care. It was stated in the black box warning that Cough remedies opioids mixed with valium is dangerous. That is because the cough formulations are elixirs containing ethyl alcohol. You obviously do not drink alcoholic beverages so this black box warning does not apply to you. AT ALL. It is just a warning. Having lived a long live you are obviously following warning signs. If things do get ugly, try some Kratom for anxiety. It works. And it works well. I want to hear how it goes. Im not sure of all of your situations individually, but is it not possible to simply find another dr who will better serve your needs? Propublica’s website is a great tool. You are able to see what drs prescribe for medicare patients. Also sites like vitals and ratemds are great tools to research Drs you might be interested in seeing. Please take 30 mins and preform a little due diligence before feeling like the sky is falling. I know there are plenty of drs out there who care about patients. U only need to do some research not pick a name out of a hat! Best of luck to EVERYONE having issues! Brown ale, I was taking Valium 5 MG daily probably 4 months ago. My doc said because of all the hoopla about combining pain meds and benzos she wanted to decrease my dose to 2 MG a day. The 2 MG don’t cut it for my particular issue so I just double it. So there are days I don’t have it and just have to deal. Many years ago I was abruptly taken off Valium because I took some extra when I had 2 cats die the same week. I was a wreck. So my pain doc nurse said no more. That was the worst withdrawal ever and I’ve been through a few. No sleep for a week. So if they are going to cut you back it needs to be done slowly. Also it’s very dangerous to just discontinue a benzo. I wish you all the best of luck and my heart breaks for you and everyone else who post on here dealing with lives once somewhat manageable now in total chaos. Hope you can let us know what happens. Please Please review the disease RSD CRPS!!! This disease as you research you will find is EXTREME Pain disease! Pain can be worse than cancer or like a woman in Hard Labor. It must be on the list with the top pain diseases so NOT to take away relief medicine that does work!!! One will die without pain meds,!!!! We need more Scientists and funding for RSD!!!! Many people have it.. Many Veterans have it!!! Heroin and other illegal drugs being brought into the country is the culprit. The government knows it, but they won’t do a thing about it, there’s way too much money to be made. So as usual, the innocents going to pain management every month, practically having to beg to maintain our dose so we can continue working and functioning like normal humans. You have to admit though, to the naked eye, the “sweeping guidelines” make it really look good for the politicians that know squats one about medications or how they work. But they’re doing something to stop the drugs, yeah they’re doing real good. All drugs have risks whether prescription or OTC. We have proved our willingness and ability to handle my medications appropriately and to follow a medication regime spelled out in our Pain Management Contract. (PMC). If there is any doubt to my ability please refer to my drug urine screenings. People have always died from drug overdose. This is nothing new. No need to sound a new alarm. My guess is the concern is over the “Elixir” cough formulations that contain as much as 10 percent alcohol by weight. Nothing new here FDA/CDC. You are just throwing another log on the fire of misinformation. Heck, you have already allowed the Surgeon General (not a real surgeon) to create a false claim saying “addiction and dependence” are one in the same. I doubt it since his false statement made it to press. What do they mean continue to get the medication we need. That stopped a long time ago but my pain remains. Tim Mason, Naproxen prescription strength is 500 mg. Aleve (Naproxen) OTC is 220 mg. Were you taking two prescription strength or two OTC strength ? The recommended dose for prescription is 1 every 12 hours. Although it is common for drs to tell patients to take two OTC every 12 hrs if the dr doesn’t want to write a prescription. Pain management used to write the benzo. But they switched me to another NP and said no. If you ask for it by name you are labeled a “drug seeker” because it is the # 2 sought after medication at the ER. If you are not at 100 mg equiv per day it is not an issue. Just note that the benzo build up in your system. (fat tissue). Exercise releases the drug stored in your fat. Pain management is supposed to treat the anxiety associated with pain. They offer Cymbalta (garbage) and coloring books. And here again, it is just a guideline, nothing in stone. Case in point. I went to a spine place 2 years back for injections and they would not prescribe any scheduled II for pain. Said “take naproxen” just double the dose. The major drug issue is heroin. 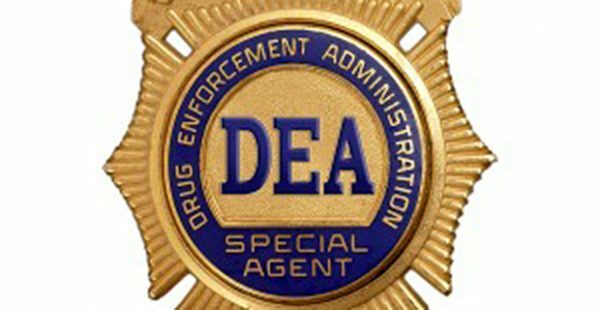 The FDA, the DEA the WH, they can say what they will, they are unable to control the heroin from coming into this country along with prescription drugs because of the administration boarder relaxed rules and regulations. To accuse all practicing physicians of the opioid addiction is a cop out, what’s worse is the number of people who believe this garbage. Everyone will need pain relief one day for acute or chronic problems, and for the government to control every aspect of our lives, it’s damping. Don’t people realize these are failed liberal policies and are going to effect us all . I have loose SI screws in my back, wobbling around making ambulation impossible , plus I have a blood disease that necessitates blood thinners making OTC medications impossible. I don’t want pain. I don’t to take pills, but this is America where my doctor directs my care, not the nut jobs in governments. You reading these posts honestly believe the government is looking out for your best interest, when it is medically proven, opioids work well for both acute and chronic pain, because I am in chronic pain does that mean I am going to turn to heroin. The government is playing ordinary tax payer citizens for fools, this epidemic is nothing new, it has only gotten worse, I don’t troll, but you can thank Obama. I have a friend with the same disorder it’s awful. Yes Neurontin and anything can cause respiratory issues. I get it many a night I begged to not wake up. We have to fight this and keep track of those we lost because of this. Suicides will increase! However will they be track able to this? Its psychological damage they are doing and getting away with it! Need a class action lawsuit for this . Please stay brave! Especially if you have kids. Suicide of a family member increases in the next generation by staggering percents. We are a strong group of people we will have a voice. Not happy, a dr can prescribe them together, it is just not recommended. In situations like yours where you only take 1 mg-2 mg a few times a year there should not be a problem with it. Would one dr prescribe the opiates and another prescribe the valium ? If not, that may be why the dr is hesitant. I agree with Harriet. CRPS is not easily diagnosed and here in Boston I am unable to receive adequate care. Pain patients are NOT the problem. Ilegal abusers are. My friend’s 19 year old son makes thousands selling his medical marijuana which he easily gets for “anxiety”. Guess being drunk and stoned and healthy is o.k. 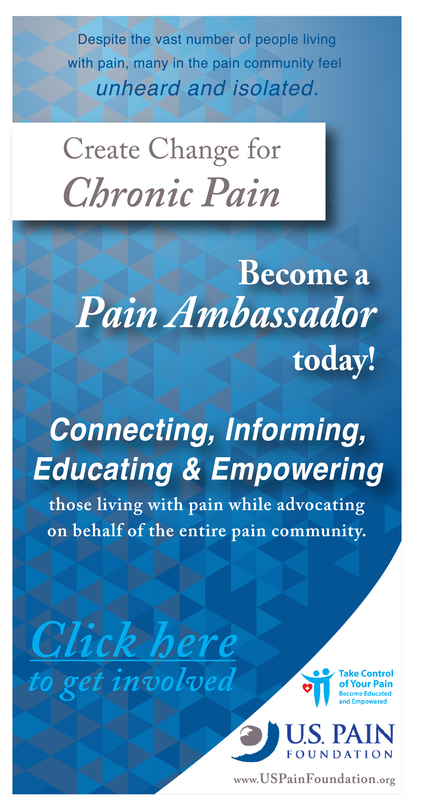 Again the rules are generic, do not allow for individual patients which in the chronic pain community means each one of us has different needs. These rules are simply causing cruel suffering, premature loss of life, unbearable existences for us. Cookie cutter rules just don’t work for chronic illnesses. Why these law makers are being allowed to draft& enforce such useless, harmful, uneducated, inappropriate, killing rules & laws is a mystery to me. Òur gov is doing this when in fact their purpose is to uphold rights for its citizens. What happened to our gov AND who can stop this mad killing spree??! Harriet, you have actually said it all, kind and considerate. Thank you very much. This article is very interesting to me as I have recently starting using Valium for my spasms. Part of my daily chronic pain has to do with my spasms associated w my pathology. I have tried nearly ever muscle relaxer to help w my spasms. I had no luck for a very long time.. either the medications were not effective or they would just knock me out cold. Even with dosage adjustments i still could not find a a product that worked for me.. i am very aware of the issues regarding Soma and Benzodiazepines used concurrently w opiods.. i wanted to avoid those 2 medications at all costs. I eventually tried Robaxin and had great success until recently i started have physical side effects from it to the point the side effects were no longer tolerable.. I spoke w my physician regarding it and we spoke about trying valium. If nothing else i owed it to myself to try it for 48 hrs. So i got my script w instructions of 1- 2 tabs (5mg) daily prn for spasms. Being me i ALWAYS start low and titrate up.. i started using 1/2 tab during day… it worked AMAZING. No cns depression, no slowing in my resperation. Then i added the 2nd dose to my nightime medication regime.. again.. no issues other than 6 hrs of straight sleep (which ive only been lucky enough maybe 10x in 7 years). Curently i take 1/2 dose (2.5mg) 1- 2x during day prn and then 1 full tab at bedtime. 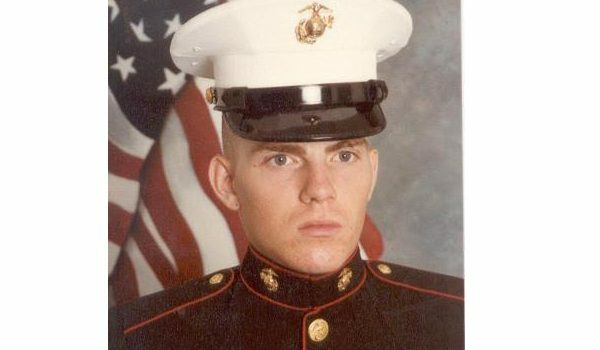 It is working EXTREMELY well and although i understand its best to error on the side of caution, i wish i had not been so closed minded and could’ve been benefiting from this successful regiment for years now. Please dont discount the abundance of caution surrounding the opiod benzo combo but alsioplease keep an open mind and not vilify it either! Because of the FDA’s vendetta against using these together I had to choose, my pain meds, or my meds for menieres disease. Now every time I have a menieres attack I get to lay on the floor puking, thanks FDA. By the way I took 1/2 of one 2mg diazapam at a time maybe 10 times or so a year. I wonder if gabapentin with opiate might have the same risk!? I have awakened with severe confusion, once and a barely palpable BP another time! Sadly, I have suffered all day, today, because I attempted to decrease my gabapentin dose. The only advantage is that I might have a peaceful end to my life and suffer no more from this injury to my cauda equina. Death is not such a bad alternative!